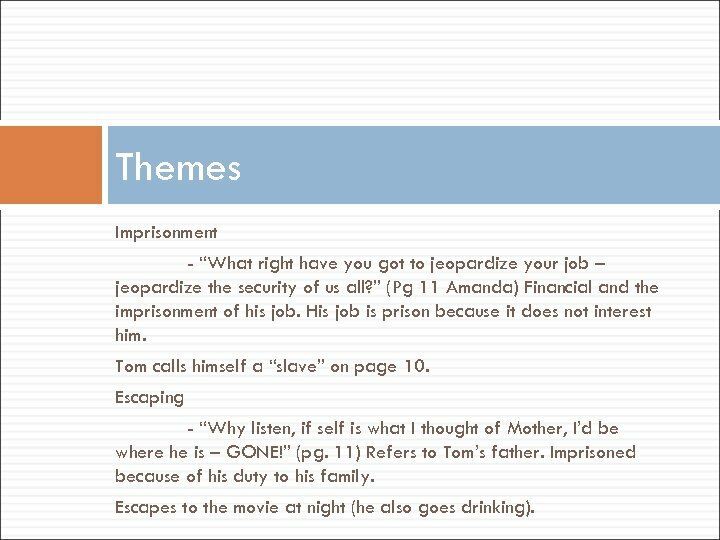 Themes Imprisonment - “What right have you got to jeopardize your job – jeopardize the security of us all? ” (Pg 11 Amanda) Financial and the imprisonment of his job. His job is prison because it does not interest him. 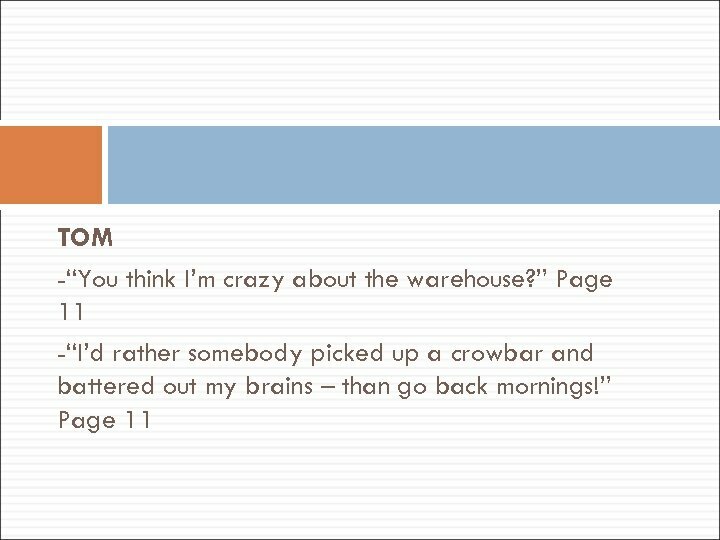 Tom calls himself a “slave” on page 10. Escaping - “Why listen, if self is what I thought of Mother, I’d be where he is – GONE!” (pg. 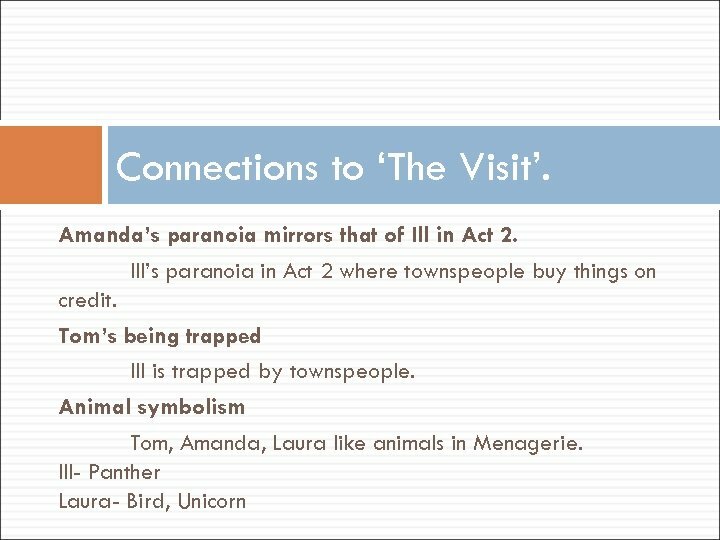 11) Refers to Tom’s father. Imprisoned because of his duty to his family. Escapes to the movie at night (he also goes drinking). 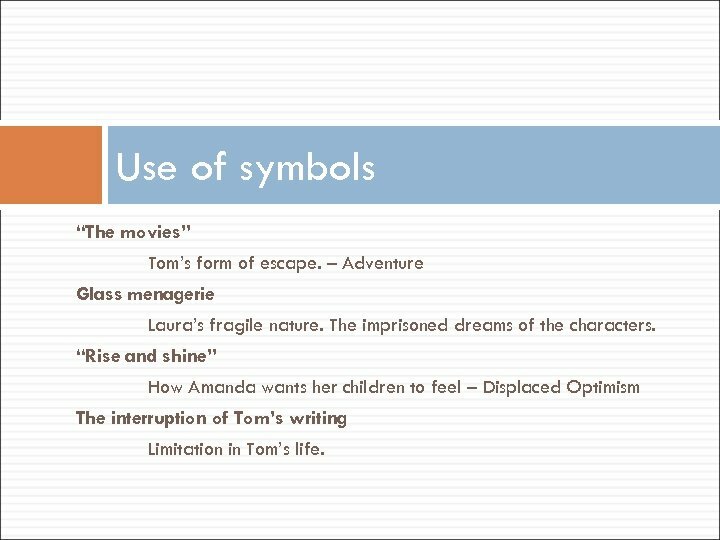 Use of symbols “The movies” Tom’s form of escape. 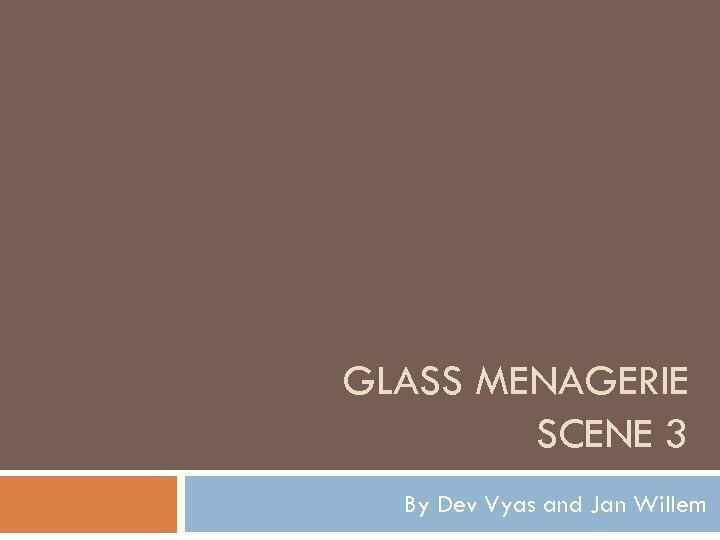 – Adventure Glass menagerie Laura’s fragile nature. The imprisoned dreams of the characters. 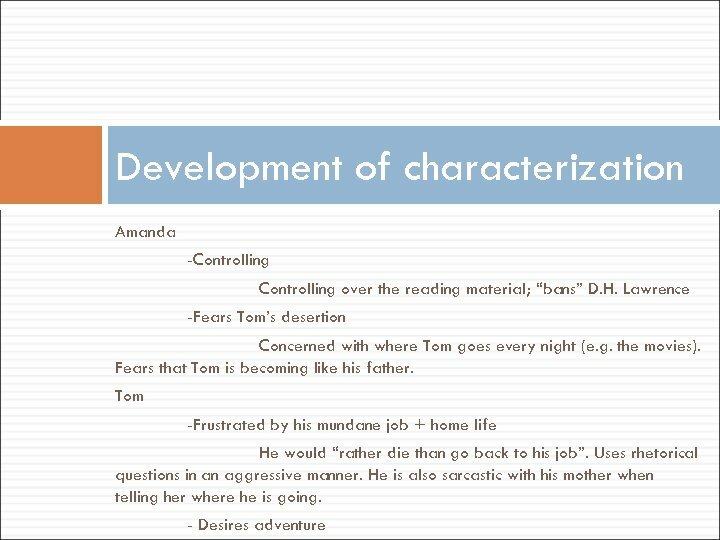 “Rise and shine” How Amanda wants her children to feel – Displaced Optimism The interruption of Tom’s writing Limitation in Tom’s life. 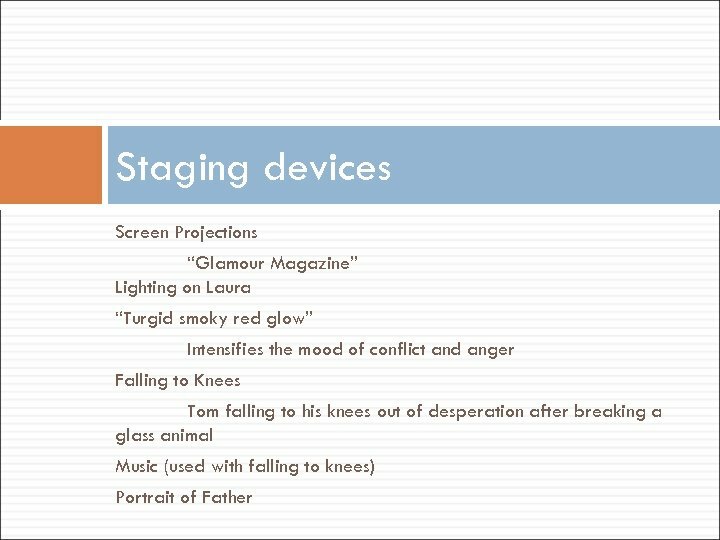 What is the purpose of the scene and what would be the consequences of omitting it from the play?